If it were up to me, every toy in my home would be wooden. There is just something to be said about the clean and sleek look wooden toys represent. Battery operated toys just do not have that same feel and aesthetic. I complied a few of my children&apos;s favorite timeless wooden toys they either already own or are on our holiday list this this year. 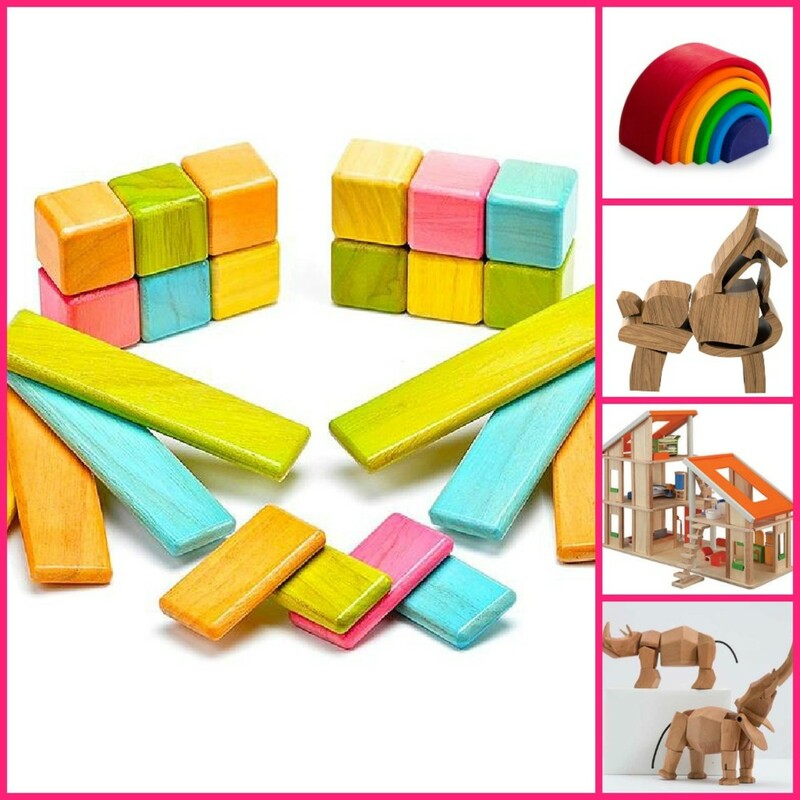 Stacking Rainbow - Made from a single block of wood, this beautifully painted stacking toy is great fun for small children, helping to develop hand-eye coordination and basic motor skills. With a little imagination, these versatile arches can become tunnels, bridges, caves or boats. Tegu Blocks - Blocks that are magnetic and allows for slightly more detailed and granular building than regular blocks. Areaware Animals - Areaware creates objects for kids that are both functional and unusual, almost puzzle like. Plan Toys Dollhouse - This dollhouse is made up of 2 units which can be arranged and rearranged in various ways creating a larger play area perfect for both boys and girls. Brinca Dada Blocks - Blocks from Brinca Dada may be unlike any other set of wooden blocks you&apos;ve ever seen. Because each piece is unique and doesn&apos;t always fit cleanly with the others. Brianne was once a fashion showroom owner now turned mom and blogger/writer. She lives in NYC with her husband, two children and one on the way, and enjoys her fast paced city life. Her blog Stroller In The City boasts about kids fashion and things that are mommy. Find her on twitter @strollerincity.